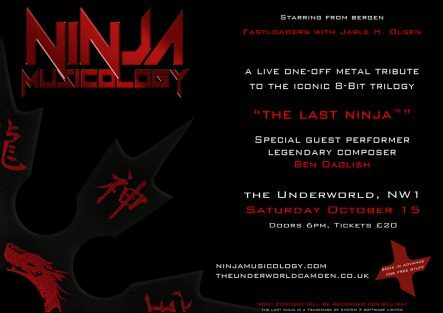 There was a redesign of the CD inlays for The Last Ninja music CDs from Psytronik – they are now available as Deluxe editions with brand new printed inlays. The inlays are now double-sided, the track listings are featured both inside the inlay and on the back and the CDs now feature a cool „Ninja eyes“ design inside too. The makers also changed the Ninja eyes on each CD to a different colour to fit the colour scheme of each CD – this was inspired by the original loading screens for The Last Ninja which feature different coloured eyes for the Ninja depending on what level was loading. 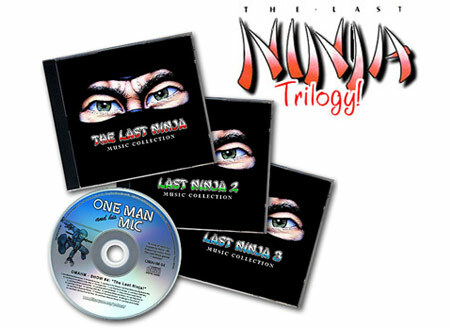 The Last Ninja Deluxe Edition CDs are now available individually or as a 4 CD set (which includes the One Man & His Mic Last Ninja podcast) here.